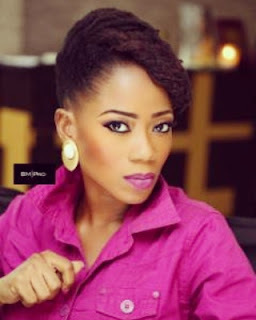 Tosyn Bucknor's Blog: #OAP101 Define Your Brand! Here is how, and why! We hear that word, 'brand' and the other phrase, 'branding yourself' a lot. Is it important? Of course. It is like asking if one should bother working or advertising. If you want to be successful and taken seriously in the media space, brand and branding are things you must be concerned about. How then do you brand yourself? One of the first things you must do, is define your brand. One of the first things i like to advise people to do is, when people think of you, what are the top 3 words you want them to associate you with? For me for example, i like to think that when people think of me, they think of fun, they think of unique and they think intellectual. That is the first exercise. Much as when you think of a Brandy or a Sean Tizzle or a Bonang Matheba, ask yourself what must come to people's minds when they think of you. This step correlates with the next one which is the 'Why'. Say for example, what you want is to be the most popular media personality in the world. That is a start. You may want, like say an Oprah or an Ellen, to change the world one show at a time. The important thing is to define the what you wants and for you, the 'whys'. Why do you want these things? My friend told me once that she was encouraged to pursue her line of work because when she was growing up, she saw a lady on tv that looked like her so she felt if that lady could do it, then so could she! When i heard that, i decided i was able to better define my own goals. I realised i wanted to be successful so that some girl could look at me and be encouraged. And i was determined to do it my way- natural hair, melanin popping, tomboy chic and all. Now that i have shared mine, think about, and share yours with me below. The final tip i have for you is listing what i like to call 'usps', i.e, Unique Selling Points. Out of ALL the people in the media, why YOU? Finding what makes you different will help you not just for yourself, but also for brands to work with you. All these tips and things i have mentioned require honesty. Can you now honestly take some time out to answer this and then define your brand? You can s.h.a.r.e with me or send questions privately via my email or a dm.